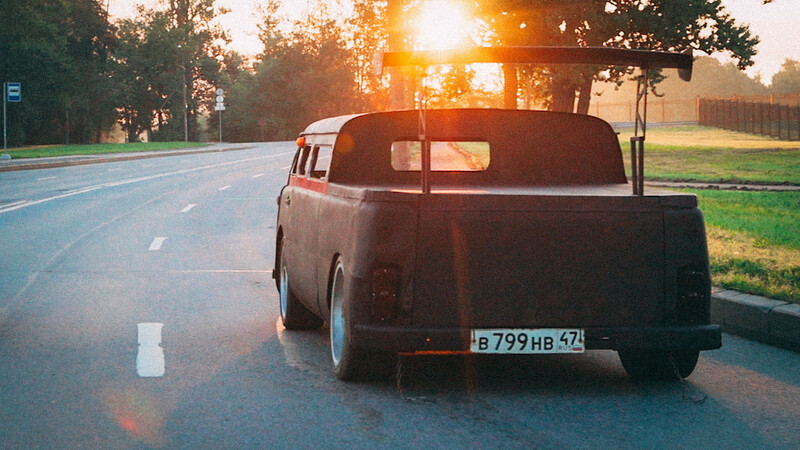 You may have heard of the ‘Bukhanka’ – the car the Russians amicably refer to as ‘a loaf of bread’, thanks to its pudgy appearance. 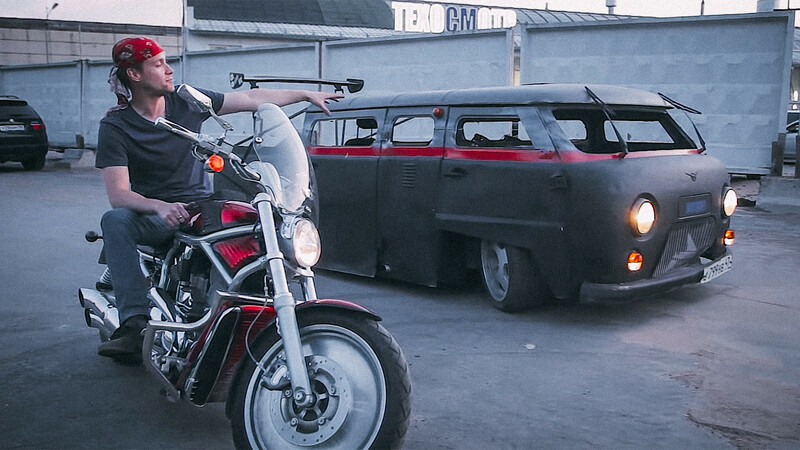 But the guys from the YouTube channel ‘iling Show’ wanted something a little more menacing from the UAZ vehicle. Behold its rebirth, and scroll down for the video of the final test drive! First things first, bukhankas are Russia’s favorite minivans, produced by UAZ from 1965 and, amazingly, still going strong. The UAZ-452 has been used by nearly all of Russia’s rescue services, including the standard ambulance, up to a certain period. The guys from iling Show decided that to turn the traditional ‘bukhanka’ into The Baton (or ‘full loaf of bread’ in Russian). The hardest part was, undoubtedly, the suspension. There was literally no space to move things any lower than they already had been. And if the driver is tired, awaiting him in the back is a massive and comfy velour couch. 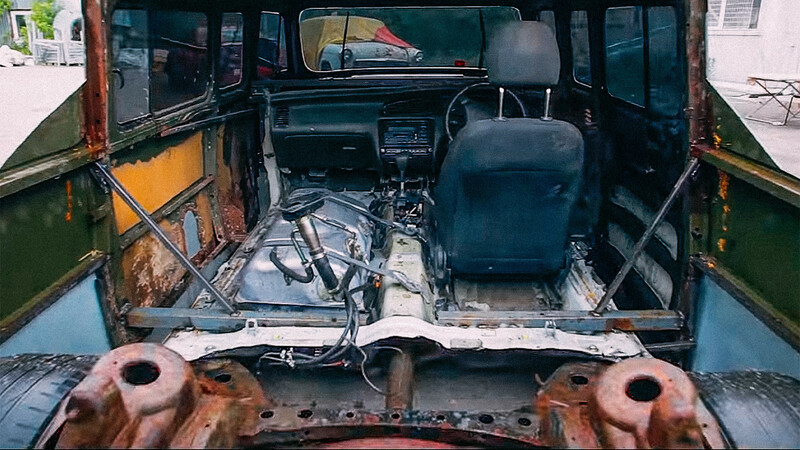 The choice of engine was straightforward – a 1JZ, borrowed from a BMW 5 Series, which itself had a different engine, taken out by the previous owner. Then the frame was experimented on, resulting in a Toyota Crown Athlete-V sub-frames being installed. The first test of the new chassis was carried out in January 2018, but after that, the entire concept underwent a radical rethinking. 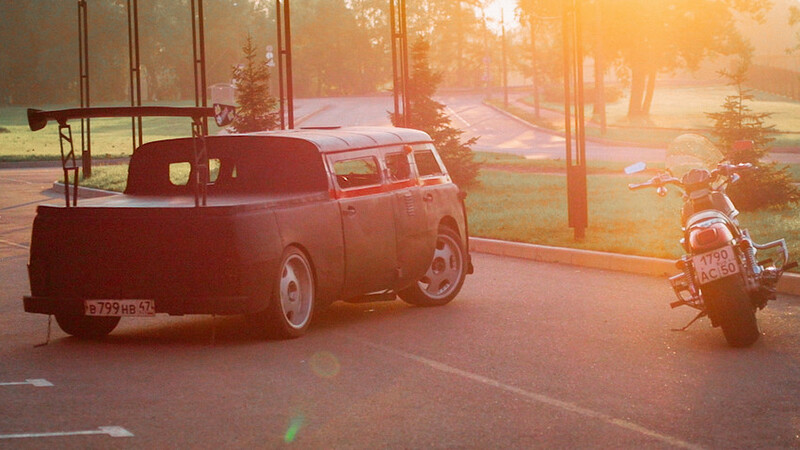 It was decided to use the Toyota Crown as the entire basis of the remodeled UAZ-452. The engine is now up front, right where the driver and passenger seats are. The actual driver will now be sitting somewhere in the center, next to the middle door. Not a great viewing angle, but that hasn’t stopped the guys at iling Show from taking The Baton on a winter drift session. Outside is, of course, all business. The ugly green is now a classy black, with a nice red strip and a spoiler on the back. You know - just in case. Driving the Baton while seated in the middle proved to be a nightmare, but that’s what these crazy YouTubers are all about: creating absurd projects and making life generally uncomfortable. 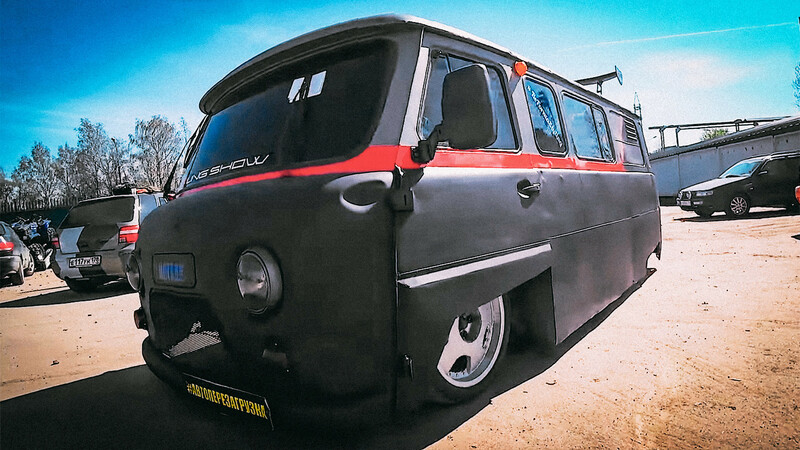 They even challenge viewers to send them wild ideas on how to do crazy and penniless custom jobs on old classics. Here’s a video. 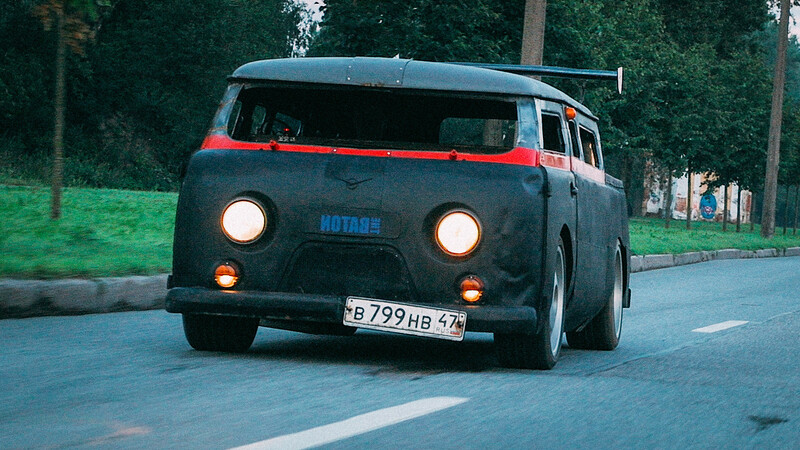 Yes, it’s in Russian, but scroll through it to see how this mean machine handles an off-road challenge.